Adobe was very public about dropping mobile Flash last fall. In case that wasn't clear enough, the developer just drew a line in the sand: Android 4.1 doesn't, and won't ever, get certification for Flash. The company is stopping short of saying that Flash won't run, but it's evident that Adobe won't help you if the web browser plugin doesn't install on that Nexus 7. Just to underscore the point, the firm is also halting new installations of Flash from Google Play as of August 15th. Security updates and other vital patches will continue on for existing users. Any fresh downloads after that fateful day, however, will have to come from Adobe's mausoleum for old versions. The company had already said that HTML5 was the way forward on phones and tablets. In my eyes, one of, if not the single best feature announced by Google yesterday during the day one I/O keynote was the introduction of Google Now. Google’s new card-based system will personalize your life, learn your habits, searches, today’s weather needs, anticipate your traffic concerns, guess your local transit direction needs and so much more. Google’s official landing page for their Now service is now live and you can head on over to get the complete rundown on the service. 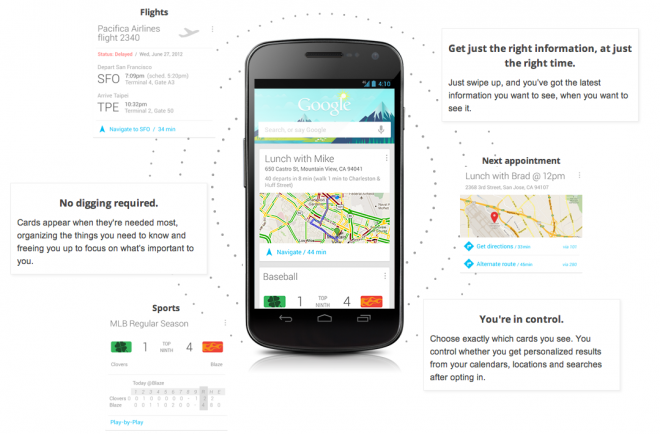 Google Now is easily one of the standout features in Jelly Bean and we can only hope we all get a chance to test it out soon. Please be sure to leave your comments, and let us know what you think. 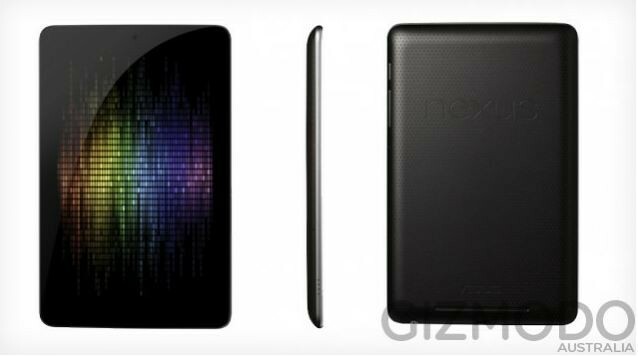 Google has officially taken the wraps off of the Nexus 7, its first reference-grade tablet. The 7-inch slate is the first and currently only device shipping with Android 4.1 Jelly Bean, and takes advantage of its optimization for smaller tablet screens, magazines and movies it's also the first to ship with a finished Chrome for Android. Like what was widely suspected, the tablet is built by ASUS and mostly draws our attention in terms of what we get for the money: that quad-core Tegra 3, 1.2-megapixel front camera, NFC and 1280 x 800, IPS-based LCD are traits we'd normally look for in a pricier tablet. Google is asking just $199 for a 8GB model and $249 for a 16GB version that's a lot of speed for the money, especially with a $25 Google Play credit and a slew of bundled content. There's no SD card slot, however. As promised back in March, HP today released to open source some large chunks of webOS 3.0.5 as the new "Community Edition". The Community Edition of webOS is meant for, well, the homebrew community and will enable homebrew developers even deeper (and more legal) access to the webOS source code to make alterations and improvements. As a sign of how serious HP is about the community aspect of the webOS Community Edition, they actually worked hand-in-hand with the WebOS Internals homebrew group to make this happen. WebOS Internals has put together a team named WebOS Ports dedicated to working with the Community Edition, led by Tom King - though you might know him from his work as ka6sox. So just what can we expect out of the Community Edition? HP's code releases come from webOS 3.0.5 and as such are geared towards the TouchPad. Among the things the WebOS Ports team (and anybody else, it is open source after all) will be able to tinker with are notifications, the app launcher (hello custom pages), Just Type, and even card view among other things. 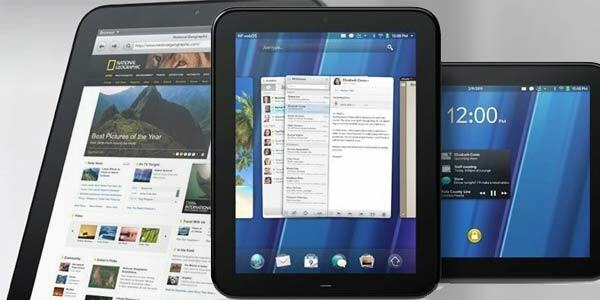 We're excited about the potential for the webOS Community Edition. There's a lot of low-hanging fruit in webOS could be fixed, updated, or added thanks to the newly open-sourced code and the WebOS Ports team. Yeah, we're psyched. Just imagine... a TouchPad with a zoomed-out card view, or Just Type with multi-choice actions, or built-in Twitter and Facebook sharing across all apps, or... the possibilities may not be endless, but they are many. It's worth noting that the webOS Community Edition release and Open webOS are two separate projects. Open webOS is going for the 1.0 version and is an active and ongoing project for HP, while the Community Edition is more of a code dump for the benefit of the community. We knew it from the beginning that Google will launch the next version of Android OS at the Google I/O 2012, but we still didn't know the final name of it. 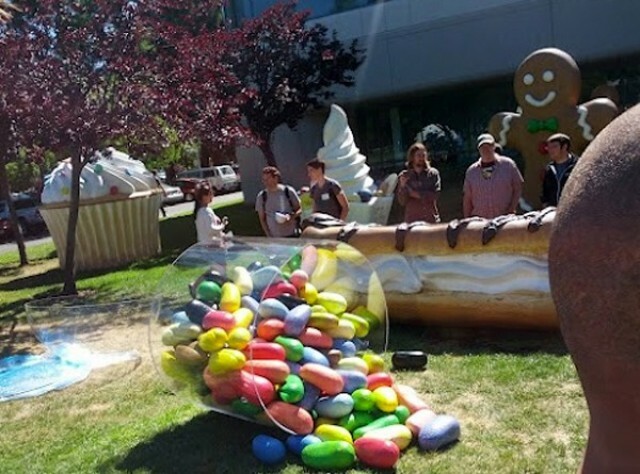 Though Google cleared the air today when they spilled some huge jelly beans in their front lawn, literally. And it's right in front of all the other Android statues, Cupcake, Donut, Éclair, Froyo, Gingerbread, Honeycomb, Ice Cream Sandwich, and now it's time for some delicious Jelly Bean. Hopefully, Google will rock the show this year by launching their first ever branded tablet, and also it will be the first tablet to feature Android Jelly Bean. This year Google I/O will come with so much surprises, so stay tuned with us and we will keep you up to date with every move. 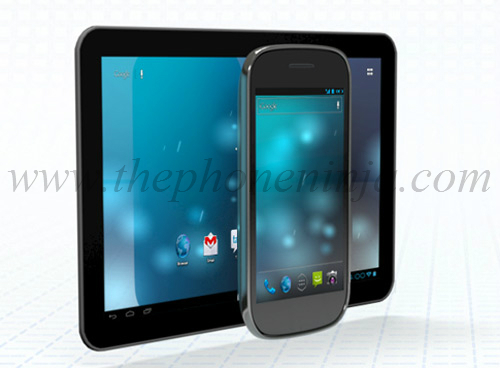 And don't forget to share your thoughts about Jelly Bean in the comment below. The free application is available now and requires any iOS device running iOS 5.1 or newer. During today’s “Zynga Unleashed” press conference, the massive social games maker announced a new platform for their products: Zynga With Friends. Zynga has published several games on platforms like Facebook, Google+, Android and iOS. Users playing those games were relegated to socially connecting with users on the same platform. That fragmentation has been a constant problem for the publishing and developing company. Zynga With Friends will eliminate device barriers and create one single, cross-platform network so that any user can play with any other user, regardless of their preferred method. The newly announced service will also allow for immediate multiplayer (rather than the current turn-based formula), social streams and cross-platform chatting. The service has not been launched yet, but it will be available on Zynga.com, Facebook and mobile devices later this year. 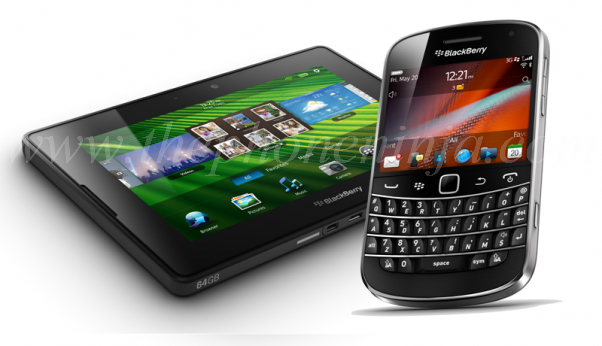 According to a new report, RIM may be planning to split its handset and messaging divisions up. This rumor originated from U.K. newspaper The Sunday Times. The publication claims that RIM is considering breaking off its device business into a separate company or straight up selling it, with both Amazon and Facebook named as possible buyers. As for the messaging side of things, RIM could decide to open its platform up to competitors like Apple and Google to help raise some income. It's also said that another option for RIM could be to keep the company together but to sell a stake of it to a larger firm, like Microsoft. This certainly isn't the first time that we've heard that a big change for RIM may be in the works, and there's even been rumors claiming that the company may open up BlackBerry Messenger to iOS and Android, although that's something that we recently heard won't be happening. We do know that the BlackBerry-manufacturer has hired JP Morgan and RBC Capital Markets to help explore its strategic options, but so far RIM hasn't shed any light on what it may end up doing. I'm sure that RIM is weighing all of its options, though, and it'll be interesting to see what route it ends up taking. What do you all think RIM should do? 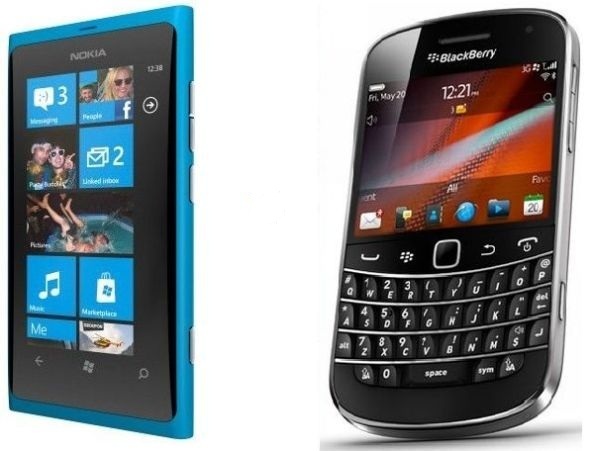 Should it sell off its handset business or open up BBM to other platforms? Or should it just keep doing what it's been doing? Mozilla announced on Tuesday that it has updated its Firefox for Android browser with a new user interface, performance tweaks and support for Flash. I typically use Chrome on my Android devices because it’s lightweight and super smooth, plus I like that it syncs up with my bookmarks in my Chrome desktop browser. I decided to give Firefox a whirl this morning on my Samsung Galaxy S III and like that it also offers a sync option for Firefox on the desktop (although I don’t use that browser). I like the default option to search Google, Amazon, Twitter or Wikipedia for whatever you enter into the browser’s search box and it quickly and accurately loaded each web page I visited. It’s also super easy to add new tabs by tapping a “+” button to the right of the search bar and the tabs can be displayed in a drop down menu, each website complete with its own thumbnail. I’ll certainly be using Firefox for Android for the next few days as it appears to be a bit quicker than Chrome for now. The update is free and is available from Google Play now. Let us know what your favorite mobile browser is, and why, in the comments below. 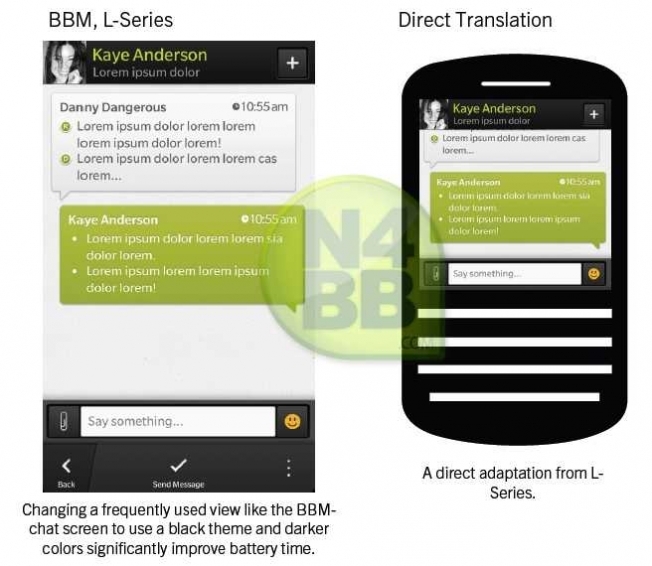 Purported images of Research In Motion’s next-generation BlackBerry Messenger application have been leaked online. N4BB, which has been on a roll lately with BlackBerry 10 scoops, has obtained some images showing what RIM’s BBM app will look like on the new BlackBerry 10 operating system. Among other things, N4BB notes that the new BBM will feature a darker theme and colors that will save battery life on BlackBerry 10 devices by an estimated 25%, while “optimization to take advantage of the OLED screen… could decrease upwards of 75% battery consumption.” The website on Monday revealed images of the first two BlackBerry 10 devices as well, showing one with just a touchscreen and one with a physical QWERTY keyboard. T-Mobile and Verizon have formally entered into agreement which will see the nation's largest wireless carrier licensing spectrum to the fourth largest. Following regulatory approval, T-Mobile will gain improved AWS spectrum in 218 markets, including 15 of the top 25 U.S. markets, covering around 60 million people. Verizon, for its part, will receive spectrum that covers another 22 million people and some cash as well. While the application has been submitted to the FCC, it could be some time before anything happens in the consumer eye. T-Mobile will gain spectrum covering 60 million people notably in Philadelphia; Washington, D.C.; Detroit; Minneapolis; Seattle; Cleveland; Columbus, Ohio; Milwaukee; Charlotte, N.C.; Raleigh-Durham, N.C.; Greensboro, N.C.; Memphis, Tenn.; and Rochester, N.Y. — in exchange for spectrum covering 22 million people and certain cash consideration. The agreement also includes exchanges in a number of markets in which the companies will swap licenses to create more contiguous blocks of spectrum and re-align spectrum in adjacent markets. These intra-market swaps will enhance T‑Mobile’s network performance and data throughput in key locations. This agreement is in addition to T-Mobile’s previously announced $4 billion 4G network evolution plan, which includes modernization of 37,000 cell sites, launching 4G HSPA+ services in the 1900 MHz band and deployment of LTE in 2013. If you're a Google Voice user on webOS, we hope you've at least looked at GVoice. The app, a fine Enyo app originally built to bring Google Voice to the TouchPad and since shrunken down to phone-appropriate dimensions was just updated to version 1.1.0. The update brings a larger font for the blind among us and adds right and left justification to message conversations. Version 1.1.0 also has expanded Text-to-Speech capabilities for users of webOS smartphones. But what we're really interested in is the upcoming version 1.2.0. The app will be rebranded as SynerGV, and if the synergistic name is dropping any hints, well, it ought be. SynerGV 1.2.0 will offer integration via Synergy Connectors with the webOS 3.0 TouchPad Messaging app. The plan is for the SynerGV Synergy Connector to be offered by the end of July as an in-app purchase, with a secondary companion app to manage things like placing phone calls, setting your Google Voice status, listening to voicemails, and the like. If you're downloading GVoice 1.1.0 onto your TouchPad, you'll have the option to pre-purchase SynerGV at a reduced price of $1.49. When SynerGV launches, it'll cost $4.99. As for our webOS smartphones, where you're more likely to be making active use of Google Voice, the developer says that "if and when" he makes a smartphone version, the same offer to pre-purchase at a discount will be made. We're a little disappointed by the "if and when" part, but we know that webOS smartphones are a small market and as a lone developer there's only so much time in the day to commit to an increasingly niche app market. Regardless, we're hopeful that the "if" does become a "when", and we wouldn't be above suggesting you comment on this article to demonstrate how much demand for the app there just might be. 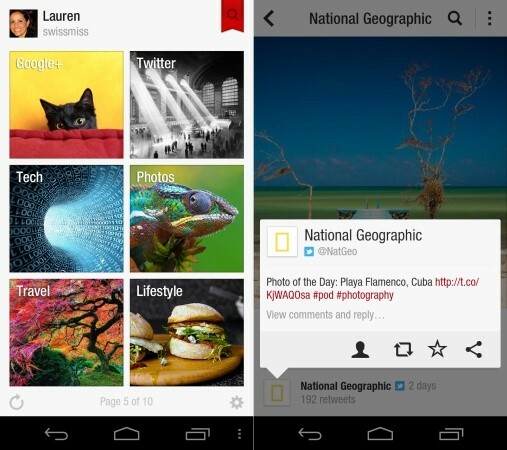 Popular newsreader Flipboard is finally officially available on Android, coming out of beta and Galaxy S III exclusivity. As seen in the latest test version, it now supports integration of shared articles from your Google+ feed alongside Twitter and Facebook feeds, and has also added support for YouTube video feeds (all of these are now available on iOS as well). Beyond the Google Play app market, it's also available in the Amazon Appstore, Nook Store and Samsung Apps, so give it a try yourself. Microsoft surprised everyone this week with its own in-house designed Windows 8 Surface tablet and now it looks like the company is set on making its own Windows Phone 8 handset as well. According to Nomura analyst Rick Sherlund, industry sources say that Microsoft is currently working with a contract manufacturer to develop its own device for Windows Phone 8. Separately, our industry sources tell us that Microsoft may be working with a contract manufacturer to develop their own handset for Windows Phone 8. It is unclear to us whether this would be a reference platform or whether this may be a go-to market Microsoft branded handset. We would not be surprised if Microsoft were to decide to bring their own handset to market next year given that Microsoft has decided to bring to market their own Windows 8 ‘Surface’ tablet/PC products. Although initially it seemed like Microsoft was pulling an Apple move by reigning in control of hardware, the new strategy may be more akin to Google’s Nexus efforts, which serve more as a model for manufacturing partners. The decision to jump on hardware could also have to do with the imploding Nokia, which was originally intended to be Microsoft’s major hardware partner. Google chairman Eric Schmidt revealed in December that the company was working on its first own-brand tablet, and the Nexus 7 slate will finally be unveiled next week during the Google I/O developer conference, according to multiple reports. The last reaffirmation comes from DigiTimes, which has reported a number of details surrounding Google’s upcoming tablet that will seemingly prove accurate. The site’s anonymous supply chain sources have previously stated that Google’s next major Android release, Jelly Bean, would come in the second quarter, and it reported later that Nexus tablet shipments would begin in June ahead of a July launch. As is the case with Microsoft’s Surface tablet, which was unveiled on Monday, it remains to be seen how Google’s own hardware efforts will impact its Android partners, some of which already seem to be exploring different ways to separate themselves from the pack or even ramping up efforts with new platforms. Google I/O begins on June 27th. Research In Motion accounted for 19 percent of contract manufacturing partner Celestica’s revenue in its last quarter. By the end of this year, it will account for none at all. Over the next three to six months, Celestica will cease production of the handsets it has been making for RIM, as the struggling BlackBerry maker streamlines its supply chain. A tough break for Celestica, whose long-running contract with RIM and nearly one-fifth of its revenue is now just another casualty of RIM’s plan to trim roughly $1 billion from its operating costs by the end of fiscal 2013. And for RIM? A necessity. And an inevitability. Celestica mostly produced BlackBerry components for the North American market, a region where BlackBerry sales have declined dramatically. It doesn’t take an Etruscan haruspex to see that cuts were coming, as RIM’S mound of inventory grew and demand for its handsets fell. Supplier consolidation typically follows declines in volume, and that’s precisely what’s going on here. “We are making changes to our supply chain as part of wider efforts to improve the efficiency and cost effectiveness of RIM’s operations to help meet our strategic objectives and to deliver long-term value to our stakeholders,” RIM said in a statement. We overlooked an interesting feature mentioned last night at the Microsoft Surface tablet event. The Netflix app. Microsoft showcased the Netflix app during last night's presentation saying it supported semantic zoom and that the Netflix app would be ready when Windows 8 launches later this year. We're guessing that with SmartGlass you could start a Netflix movie on your Xbox console, pause it and resume watching the movie on your Surface tablet or Windows Phone. With the kickstand feature on the Surface, the tablet sounds ideal for mobile movie watching. 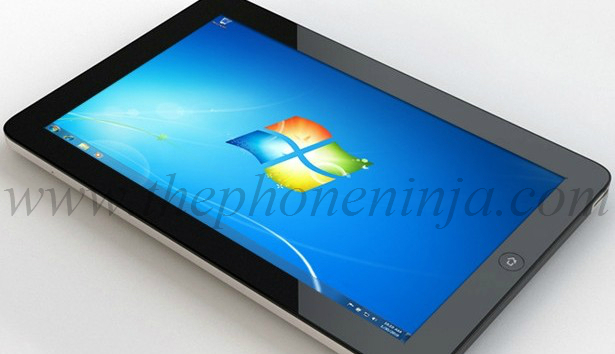 Microsoft on Monday announced the Surface tablet during a press conference in Los Angeles, California. Rumors leading up to the event suggested that the Redmond-based company had an own-brand tablet in store, and a leaked spec sheet that emerged on Monday pointed to an Xbox-focused slate that would merge entertainment, gaming and high-definition output into a 7-inch tablet that would mark Microsoft’s premiere entry into the market. Bits and pieces of various rumors ended up panning out, and Microsoft unveiled its first own-brand Windows tablet line. “Surface fulfills the dream of working anywhere,” Microsoft said of the 9.3-millimeter thick tablet, which includes a magnesium case that weighs less than 1.5 pounds and features an integrated stand to prop the device up while watching videos or typing on a Bluetooth keyboard. The 10.6-inch high-definition display on the Surface is covered with Corning Gorilla Glass 2, and it includes a magnetic connector to hold a case in place. The new Surface tablet ships with a number of popular Microsoft apps, including Xbox live, and it includes a native Netflix app as well. USB 2.0 and HDMI-out ports are both on board, as are rear and front-facing cameras. An Intel Ivy Bridge Core i5 processor powers the Surface along with a unique vented active cooling system. Microsoft’s Surface tablet supports both finger and stylus input, as well as 600 dpi “Digital Ink” for drawing, writing and marking up documents. The device also supports a “Touchcover” with an integrated keyboard. Two Surface tablets will be available at launch, one running Windows 8 Pro and one running Windows RT, and pricing will be “like comparable tablets based on ARM” for the RT model, and in line with Ultrabooks for the Windows 8 Pro version. The Windows RT model will be available with either 32GB or 64GB of storage, and the Windows 8 Pro model will come with either 64GB or 128GB of storage. More information about the new Surface Tablet can be found on Microsoft’s website. Given that the source speaking with Business Insider on the subject has noted that the supposed party would take place at the Fleur de Lys mansion in LA, that 18-century costumes are required, and that Snoop Dogg will be presiding over the celebration, we’re going to need a big cup of salt to swallow this one. That said, it’s still quite possible that Microsoft and Yammer are indeed working on a deal between themselves. Check out the Yammer website here. Wireless startup Karma is offering a hotspot that accesses Clearwire's mobile WiMAX network but allows users to open it up to the public. According to a report from The Verge, the company's model works fairly simply. Users pay $69 to buy a mobile hotspot and then pay $14 per GB of data. The catch is that the hotspot is then opened up to the public, and when a new user joins, that user is taken to a page about the owner of the hotspot. Public users attached to the hotspot then can then sign in with their Facebook account to get 100 MB of free browsing. The key part of the setup is that for every new user who signs in, the owner of the hotspot gets 100 MB of free data credited to their account. Karma calls the scheme "social telecom." "Something is fundamentally broken in the market for mobile providers," Robert Gaal, one of the founders of Karma, told The Verge. "We want to give everyone a mobile, 4G hotspot that lives in their pocket. It's open to everyone, and lets you pay as you go. Best of all it works no matter what carrier or what device you're using." Data sharing has been a hot topic of late, with much commentary this week focused on Verizon Wireless' launch of its Share Everything plans. However, other companies have focused on the issue as well. 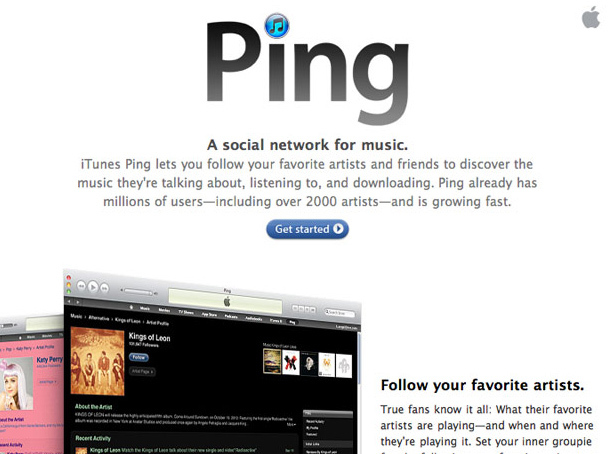 Ting, a Sprint Nextel MVNO run by Internet domain company Tucows, has offered shared data plans since February. FreeomPop, the forthcoming mobile broadband startup that also uses Clearwire's network, has discussed the idea of its users sharing data as well. Karma is Clearwire's latest wholesale customer, and another in a long string of small startups. Mike Lazaridis and Jim Balsillie, the co-founders of Research In Motion creator of BlackBerry, will be receiving $12 million for stepping aside as co-chief executive officers, according to a company document filed on Thursday. The document noted Mr. Lazaridis and Mr. Balsillie “revolutionized the worldwide wireless industry with the introduction of the BlackBerry and forever changed how the world communicates,” the company said in a management circular that it had entered into transition agreements with the two executives. Jim Balsillie who stepped down to an ordinary director during the management shakeup and later completely left the company will receive an entitlement of $7.9 million. Mike Lazaridis remains as the vice-chair of the board with responsibilities for innovation and still has the use of a dedicated office, as well as a company car with a driver. Lazaridis will receive a compensation of $3.9 million. Additionally, the filing notes Thorsten Heins financial arrangements with RIM. Mr. Heins, who joined RIM several years ago after a long stint in senior roles at the top of the German conglomerate Siemens AG, received about $1.9-million in total compensation in fiscal 2011. His compensation increased with the promotion to about $10.2-million in fiscal 2012. Ever since Microsoft’s My Xbox Live app first arrived on iOS, I was dying to get my hands on a version of the app for Android. Today, the good folks from Redmond have made that dream come true. The launch of the Android version of the My Xbox Live app is bittersweet. While it is nice to see the app finally hit Google Play, it’s missing some key functionality. After signing into the My Xbox Live app, Xbox Live users can check out the latest game trailers and promotional videos Microsoft has to offer, update their profile and avatar, manage messages with friends and flick through achievements and trophies earned through various Xbox games. My Xbox Live for Android looks amazing. It’s smooth and intuitive. It just lacks some of the most important features the app has to offer on other platforms, like the ability to tether your device to your Xbox and use it as a remote. With the update made available to the iOS My Xbox Live app, iPhone users are able to browse a list of their most recent activity from the app, and use the remote function with media apps like Netflix. Microsoft hasn’t laid out any plans to bring remote functionality to the My Xbox Live Android app, and with Xbox SmartGlass right around the corner, it might not be any time soon. I wouldn’t be surprised if Microsoft waited until SmartGlass to release any major updates for Android users. Remote control functionality or not, at least I can finally check my Xbox Live messages on the go. To install the My Xbox Live app for Android, use the download widget below. The Sony Tablet S was one of the first Honeycomb tablets to be upgraded to the latest version of Android, Ice Cream Sandwich. 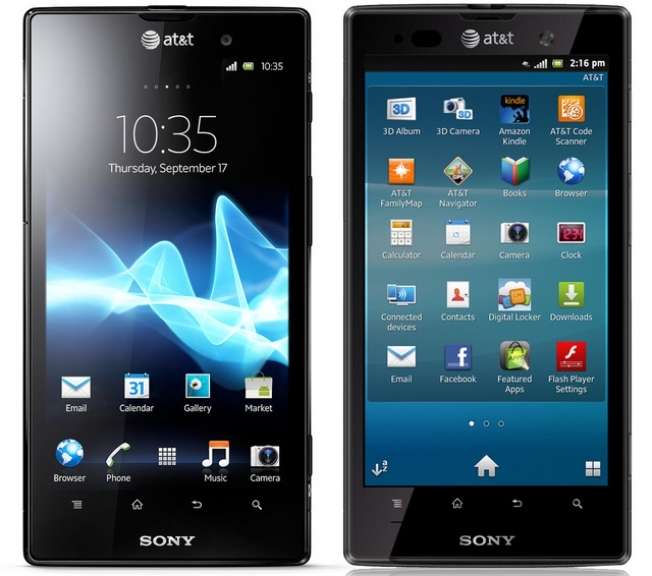 But Sony has not forgot about the clamshell-shaped sibling, the Tablet P, has received its own ICS update. In a post on its Developer World blog, Sony announced that Android 4.0.3 is now available for Tablets S and P, with the Tablet P update being limited to "selected markets" for the time being. In addition to standard ICS features like the improved launcher and multi-tasking menu, Sony's baked in some new stuff for its tablet owners. These include direct SD card access, "small apps" that can run in a window, and a re-vamped photo viewer. To grab the new software for either device, head to Settings > About tablet > System updates.